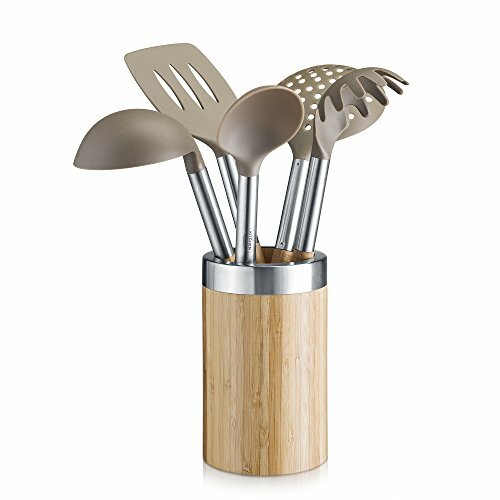 MADE OF FOOD-SAFE MATERIALS ★ Deiss utensils are made of BPA-free nylon, which contains no toxins and is safe for cooking. 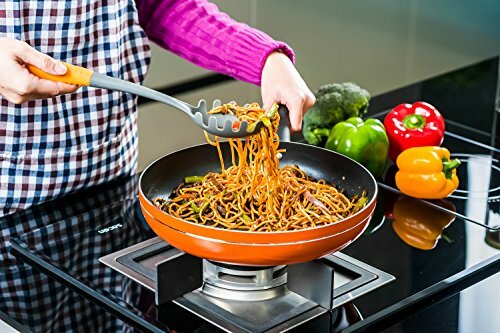 The utensils’ nylon core is flexible and sturdy, making them suitable for all types of cooking. Durable nylon utensils hoist the heaviest loads with ease. 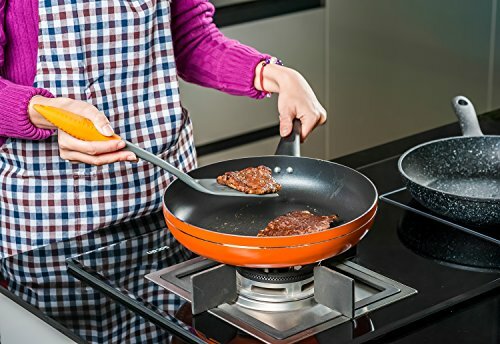 NON-STICK AND ODOR-RESISTANT ★ Deiss nylon utensils withstand up to 480° F and are non-stick, so they won’t scratch your expensive non stick cookware. Nylon utensils are easily cleaned, and don’t stain or accumulate odors unlike old plastic or bamboo kitchen accessories. You don’t have to worry about food coloring. ERGONOMIC DESIGN ★ A specially designed non-slip rubber handle provides a comfortable grip even, when it’s wet. 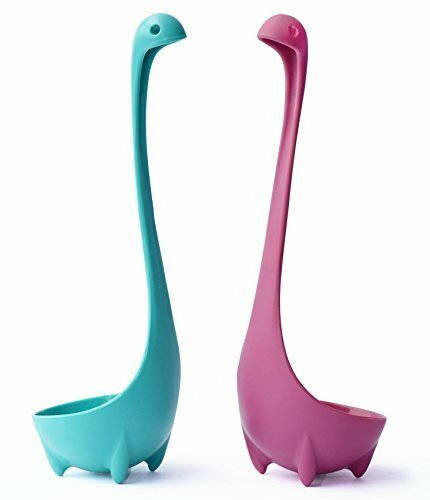 Long handles and oversized heads won’t let you get dirty while mixing, flipping, scraping and baking. 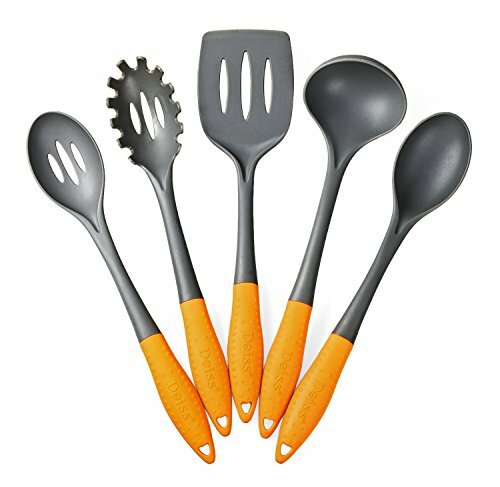 Tired of your expensive non-stick cookware getting destroyed by stainless steel spatulas? Or of old plastic utensils melt and break easily? 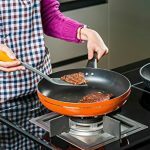 Deiss non-scratch utensils can handle any type of cooking while being gentle on your pan and pot. These professional gadgets are constructed of strong nylon, which can withstand temperatures up to 400 degrees Fahrenheit or 204 degrees Celsius. They won’t bend or break when you turn your meat or mix a salad. 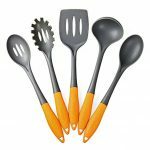 Deiss utensils are designed with unique ergonomic grips, and their slip-resistant coating provides a firm, comfortable grip and prevents slippage while cooking. 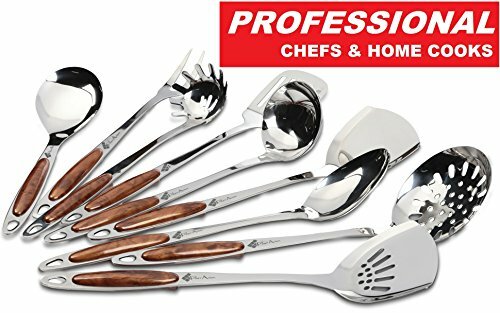 The set includes five of your favorite tools for everyday cooking, which means you can cook any dishes and make delicious desserts easily. The low-profile head of the spatula easily slides under food for smooth turning, and its flat edge cuts food into convenient pieces. All slotted utensils drainallow water or other cooking liquids to drain in moments. 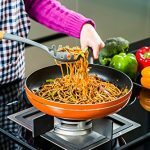 The spaghetti server is designed to securely pick up cooked pasta for serving, and its center hole drains water.